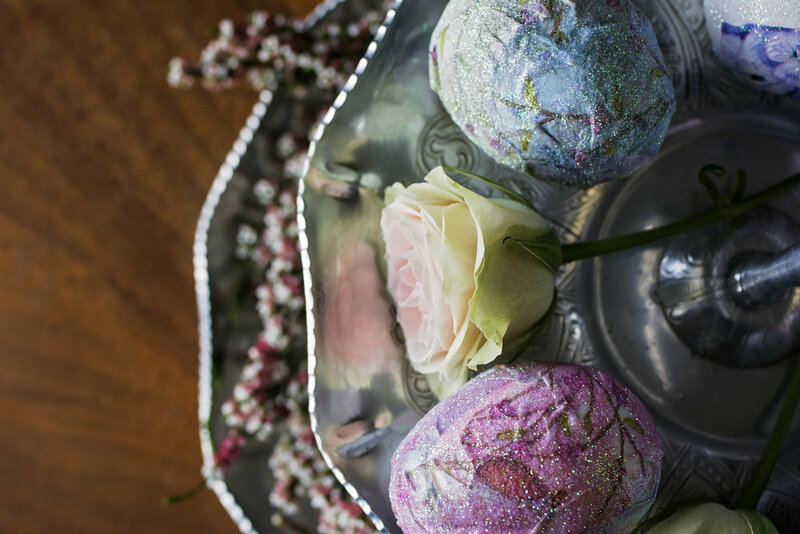 Share your Easter egg decorating tips and images with us on Instagram- Facebook!!! Need a last minute egg dying tip? Want to impress your kids with a project that uses spices, veggies and more to create eggs made at home with what's already in your kitchen? 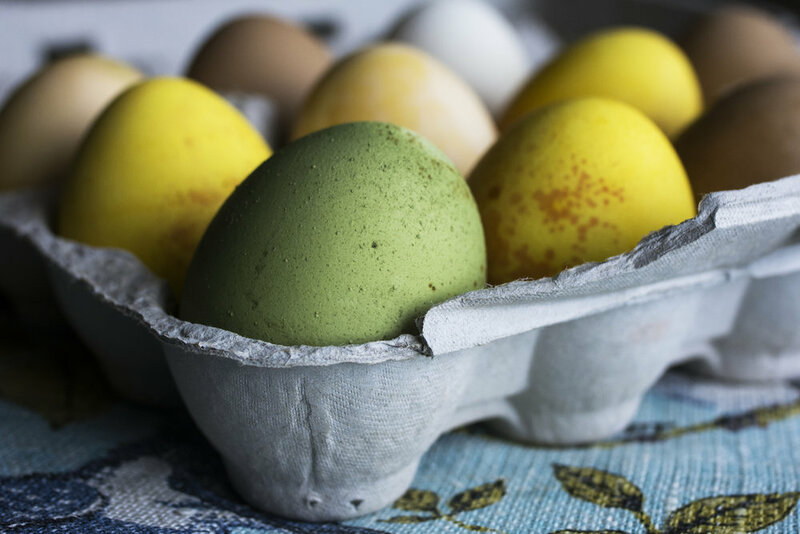 These eggs were dyed with natural ingredients from the kitchen. I used what I had on hand; green tea, coffee, onion, turmeric, red cabbage. Everything was really easy and fun! I think kids would love to do this with mom or grandma over a holiday weekend. It would be fun for the kids to guess what color the egg will come out and even more fun to make up ways to use items in the kitchen that stretch your imaginary color wheel in all directions! 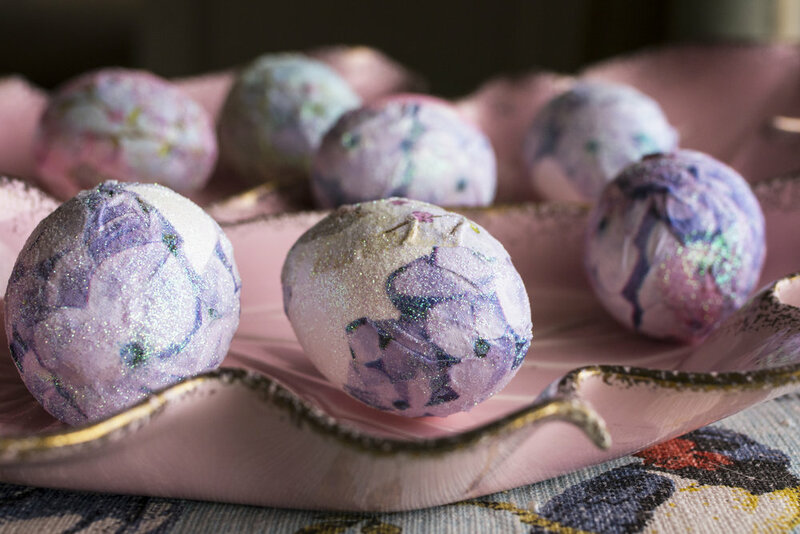 The eggs below are blown out eggshells with decoupage and decorated with sparkles.